Charles Center is a commercial and residential area located in the heart of downtown Baltimore. 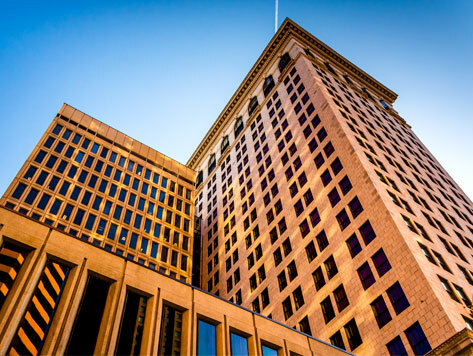 The area features mostly offices and apartments, and is within walking distance to popular Baltimore attractions including the Enoch Pratt Free Library, Lexington Market, and Royal Farms Arena. Charles Center is made up of a number of distinct areas and buildings that form part of the entire area. One Charles Center, OneMain Financial, and Two Charles Center form the apex of the district. You’re also just a short stroll from the bustling development around Inner Harbor.